The holiday season is a busy time for all, that's for sure. Either we're going to holiday parties every other weekend, shopping for Christmas gifts, and of course running last-minute holiday errands. Between doing all of those tasks and visiting friends and family, that means that we spend a lot of time in the car. Everyone tries to make the most out of whatever free time they have in a day, even if it feels impossible to have everything accomplished. It is important to cross items off of your to-do list, but it's never okay to do so when driving. This holiday season, AT&T is cautioning drivers not to use their phones while driving. Wait till you're home or safely parked before answering that text, or writing your mother a Facebook message. I've been with people who think it's acceptable to text and drive, or even surf the internet while driving. I can tell you firsthand it's not acceptable. Nothing on your phone is worth risking your life or someone else's. Distracted driving has been an issue for some time now, even though drivers know the risks and the laws of this activity. To combat this issue, AT&T has launched the It Can Wait campaign. Phones must be put down when driving. Don't even think about picking up that phone when your hands are on the wheel. Anything you want to say or do can wait. Some drivers have even said they have done video chatting and taken pictures while driving. 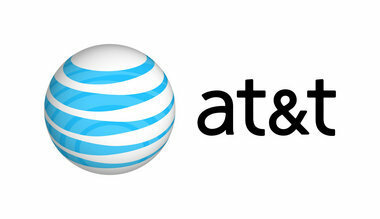 AT&T's goal through the It Can Wait campaign is to stop all cell phone usage while driving for good. Every life is important and shouldn't be ended due to someone's negligence. Be smart this holiday season and enjoy it with your friends and family. Chow down on delicious food and drink, have scrumptious desserts, and make many memories. Remember, it can wait. *DISCLOSURE* This is a post sponsored by AT&T. All thoughts are strictly my own.